Guest Stars: Victoria Finney, Charles Dance, Katie Foster-Barnes, Amanda Fairbank-Hynes, Samara MacLaren, Rupert Young (recurring) and David Sterne. Uther is determined to wipe out magic in Camelot once and for all, and this time no one is beyond suspicion. He summons the most dreaded witchfinder in the land, Aredian, a terrifying man who will stop at nothing to uncover sorcery. Gaius impresses upon Merlin how much danger he is in but Morgana needs no such warning. She is certain Aredian will see straight through her and she will be burnt at the stake. 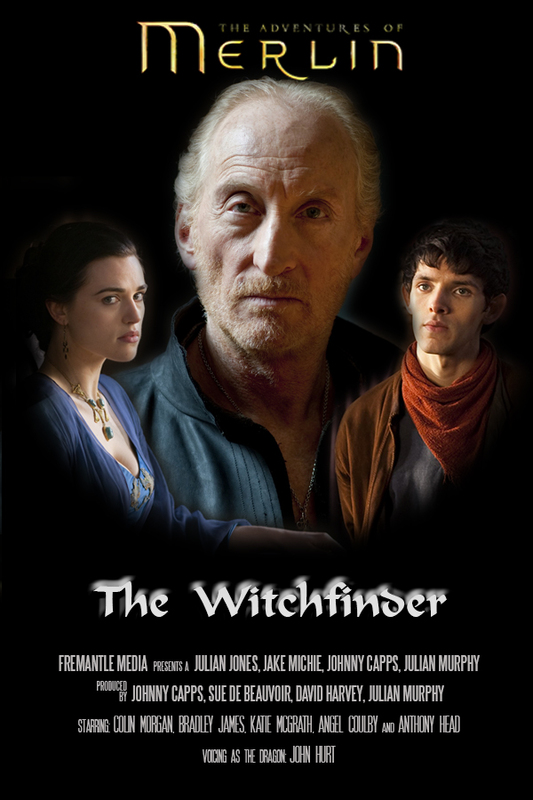 Can Merlin protect Morgana and Gaius without ending up in the flames himself?